I fell in love with the kulchas at Lashkara, the vegetarian restaurant at Bandra's Punjab Sweets, when I first had them a few years back. Then I made two trips within 6 months to Amritsar. Ate lot of kulchas there. Wrote extensively about them too. Today was the first time I had the Lashkara Punjab Sweets kulchas after my Amritsar trips. Loved them once again. Served hot, crunchy at the corners. Softer inside. Since it's Bandra and not Amritsar, you can ask for butter on the side instead of it being applied on top and given. To be fair you can ask them to not add butter in Amritsar but they look hurt. Makes the kulcha feel lighter. I think the potato stuffing at Amritsar was a tad spicier but this was flavourful too. The chhole on the side was delicious though a bit lukewarm. They can heat it in a microwave if you want. You can get these home delivered but best to eat them fresh from the tandoor. The restaurant is vegetarian, air conditioned and clean and usually empty during weekday post lunch hours. 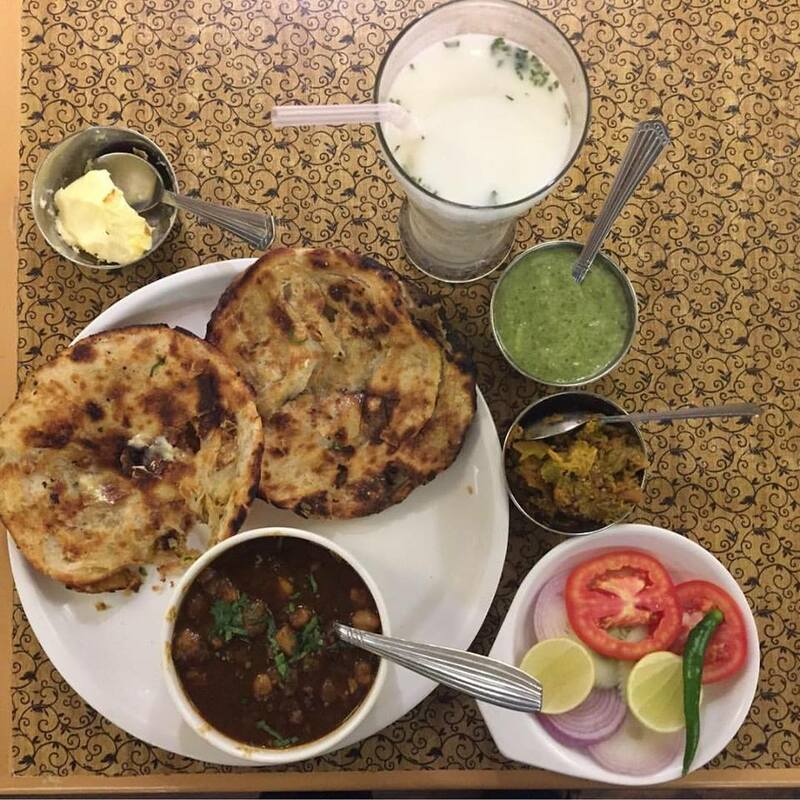 An alu kulcha and chhaas cost Rs 300. Paneer kulcha is a tad more expensive. They have an extensive Punjabi vegetarian menu apart from kulchas too.